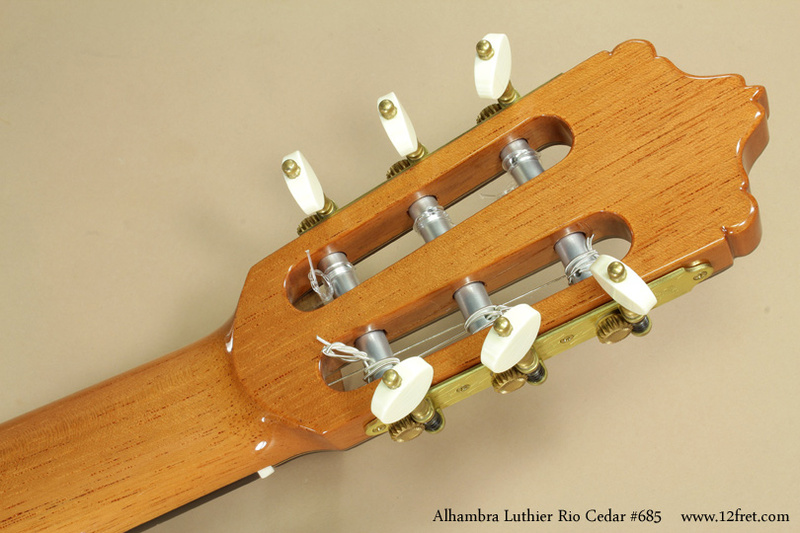 Comments The Alhambra Guitar Company of Muro de Alcoy in Spain have built a reputation for crafting high quality nylon string guitars used extensively by students, educators and professional musicians. 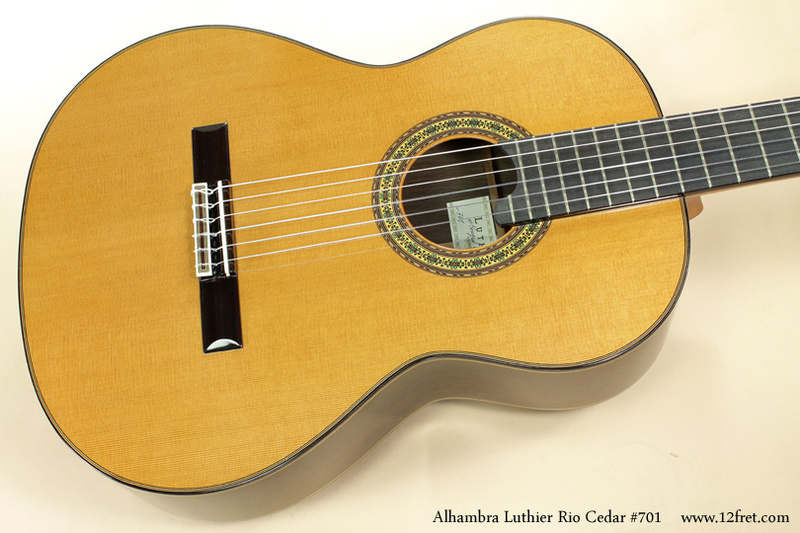 The instrument we are highlighting today is the prestigious Alhambra Luthier Rio Concert Classical Guitar. This excellent instrument, now available only on special order, features a Master Grade cedar top and solid Brazilian rosewood back and sides. 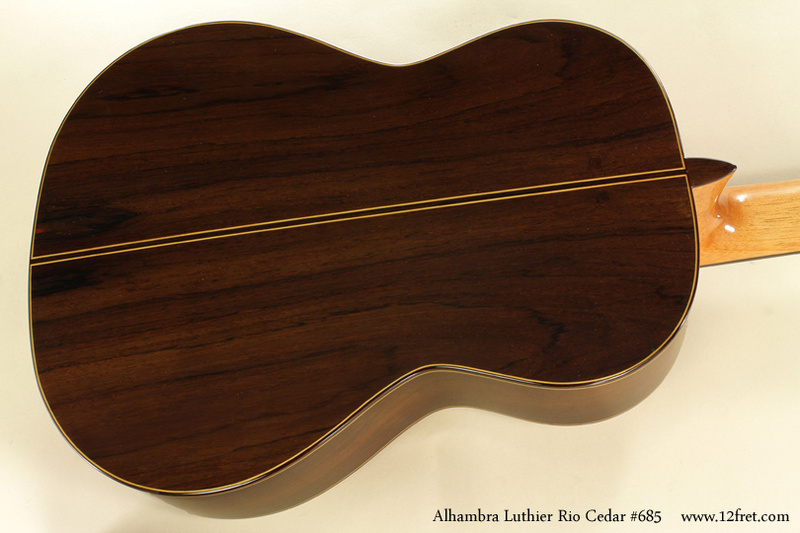 The name of the model, ‘Rio’, comes from the Spanish name for Brazilian Rosewood – Palosanto de Rio. 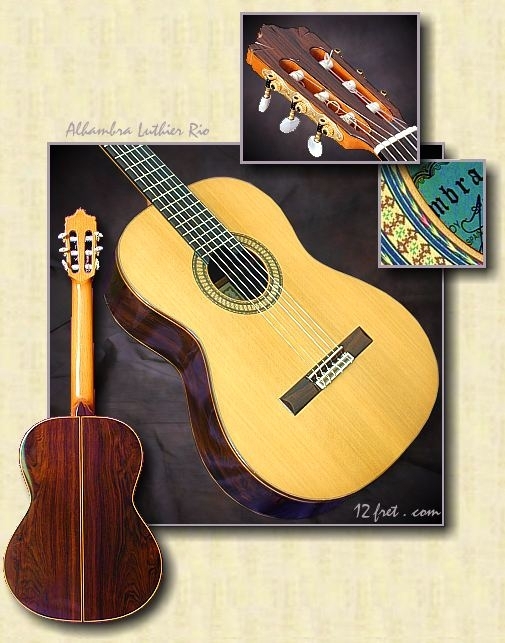 This instrument has had a very limited production and represents the finest quality tonewoods and craftsmanship offered by this traditional Spanish company. 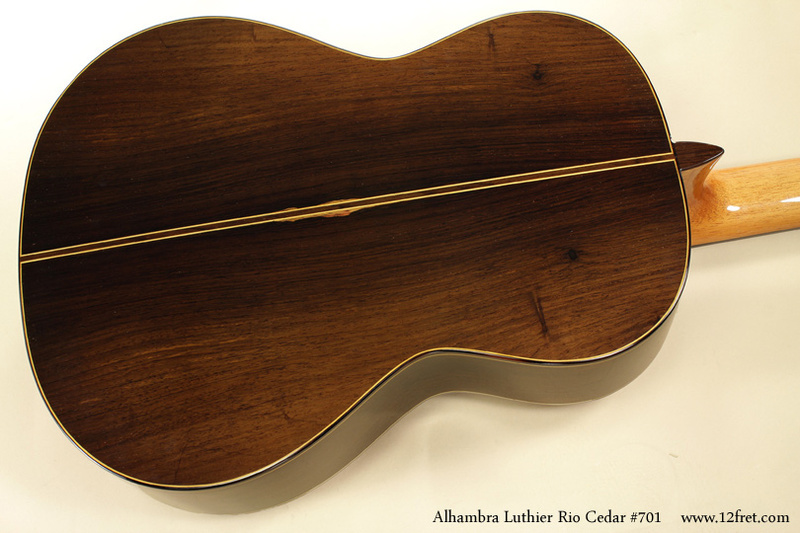 The Alhambra Luthier Rio model has been officially superseded by the Luthier Exotico, which uses Red Peroba for the sides and back in place of Brazilian Rosewood. 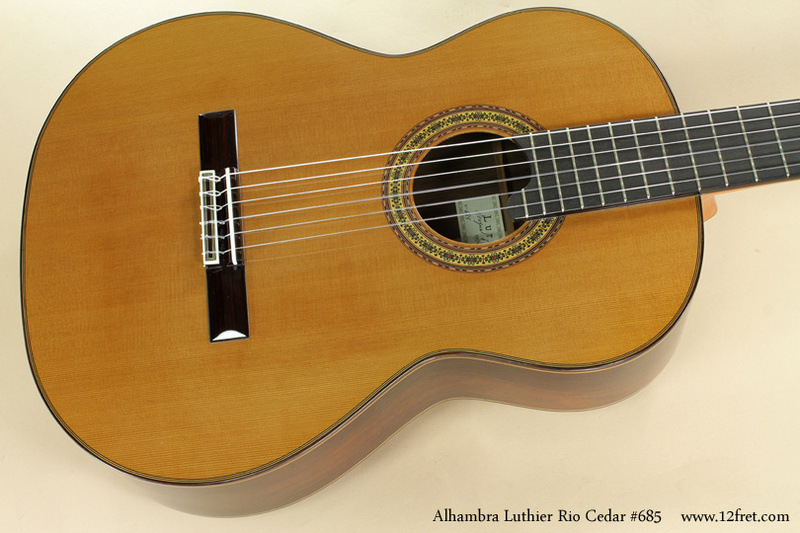 We have some of the last new ‘production’ models available, though Alhambra will build more while their Brazilian stocks last. 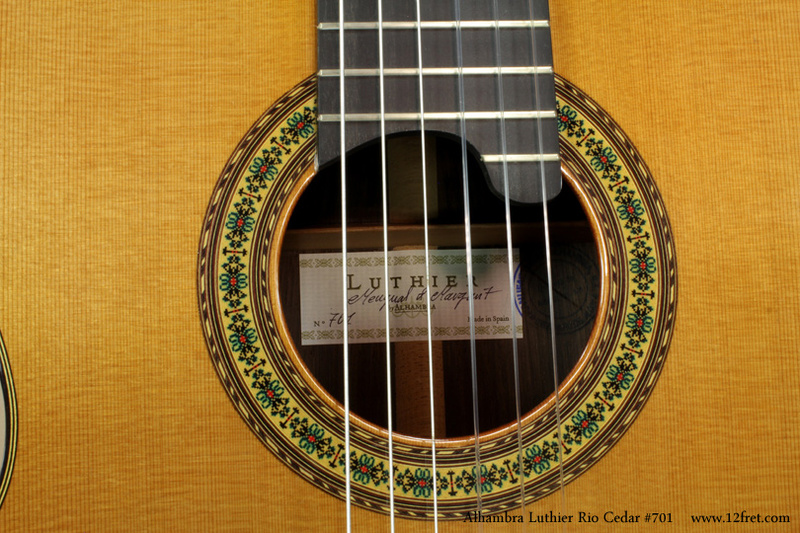 The tone and projection on the Luthier Rio model rivals any of the finest professional grade concert classical guitars available worldwide. This instrument has clarity, an even response and a lush overall sonority that has a rich layer of overtones on every note! 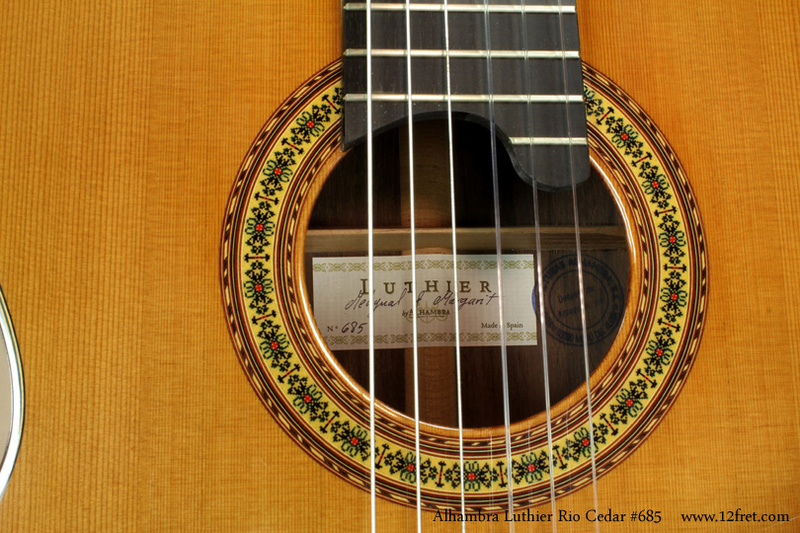 Serial Number Varies as new; the gallery images in this post are of guitars number 685 and 701. Built at the Alhambra facility in Muro de Alcoy, Alicante, Spain. Pricing $4250.00 CND with case. Neck Spanish Cedar neck with ebony reinforcement strip and unbound ebony fingerboard. 650mm scale length and 52mm nut width. Frets 19 nickel silver frets. Body Full concert size body with spruce or cedar tops, and Brazilian rosewood back and sides. Hardware/electronics Premium gold plated high-ratio tuners, bone nut and saddle. 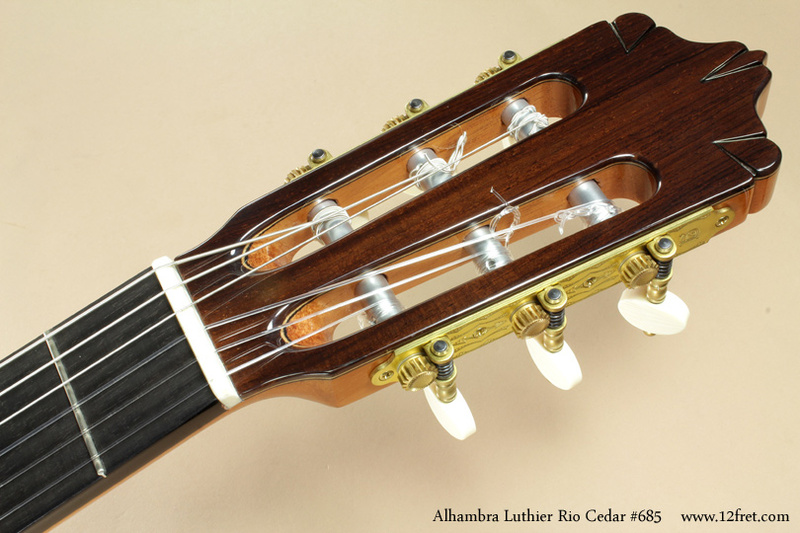 Playability/Action As with all Alhambra instruments, the Alhambra Luthier Rio plays very well as delivered to us. We will of course set up the guitar to the player’s requirements. Case Euro hardshell case included. 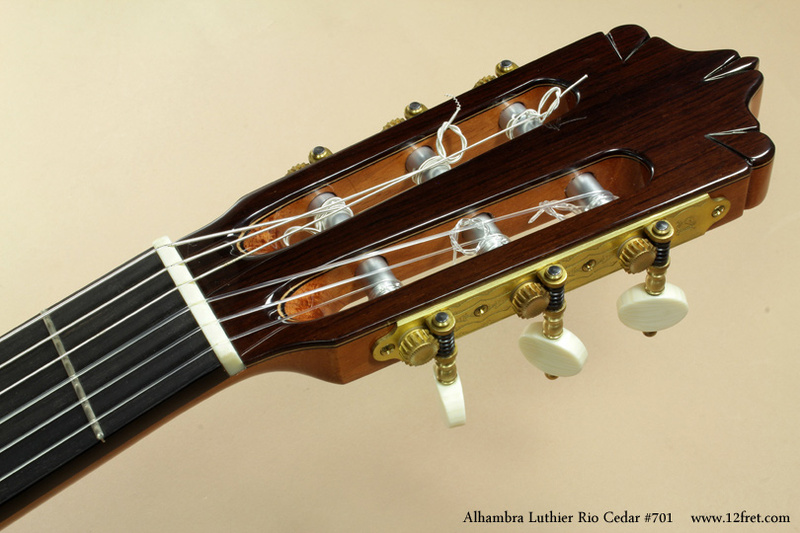 Here are images of two Alhambra Luthier Rio Concert Classical guitars with cedar tops, number 685 and 701.